Bring your team together in an open or private office space with the Bush Business Furniture 120"W x 48"D Boat Shaped Conference Table. The spacious design comfortably seats 8-10 in a variety of environments from board rooms to executive offices or any collaborative setting. 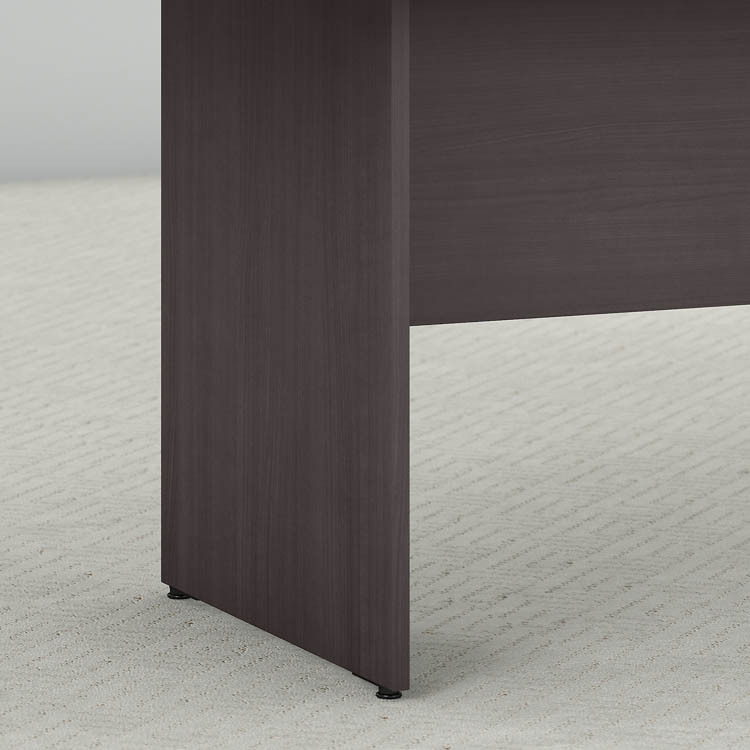 A finished underside prevents snagged clothing, while a classic wood base provides durability and includes adjustable levelers for a stable design on any floor. With wire management grommets, the long Conference Table keeps unsightly cables contained. 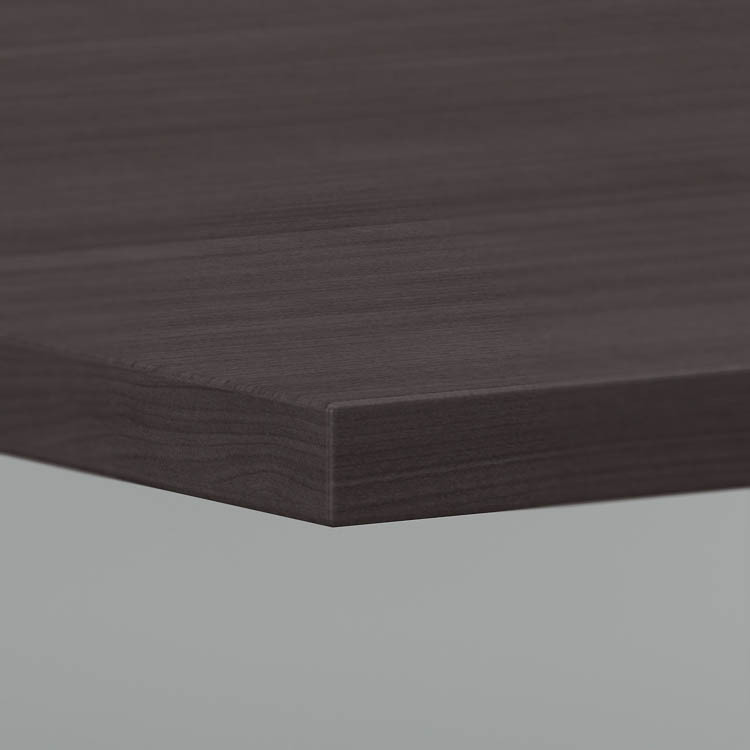 Continuous edge banding protects against nicks and dings from collisions, and the thermally fused laminate finish resists stains and scratches throughout years of everyday meetings. 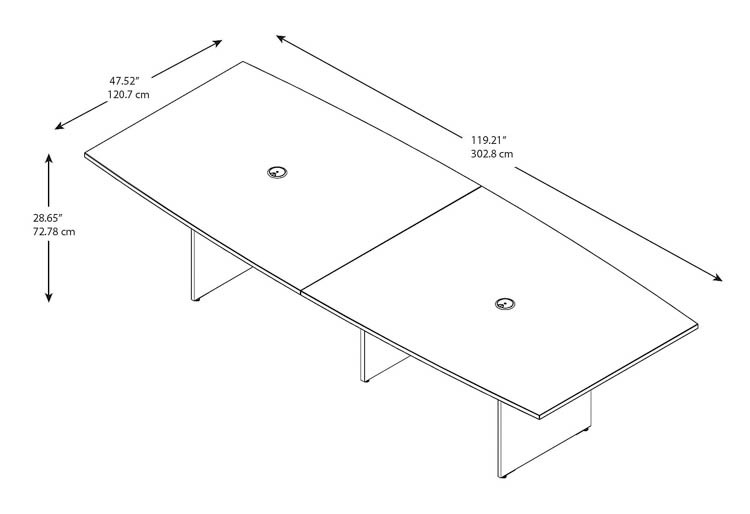 The commercial-grade Boat Shaped Conference Table meets ANSI/BIFMA quality test standards. Browse the complete line of Conference Tables, available in a variety of styles and finishes to complement your office. Overall Dimensions: 119.21"W x 47.52"D x 28.65"H.